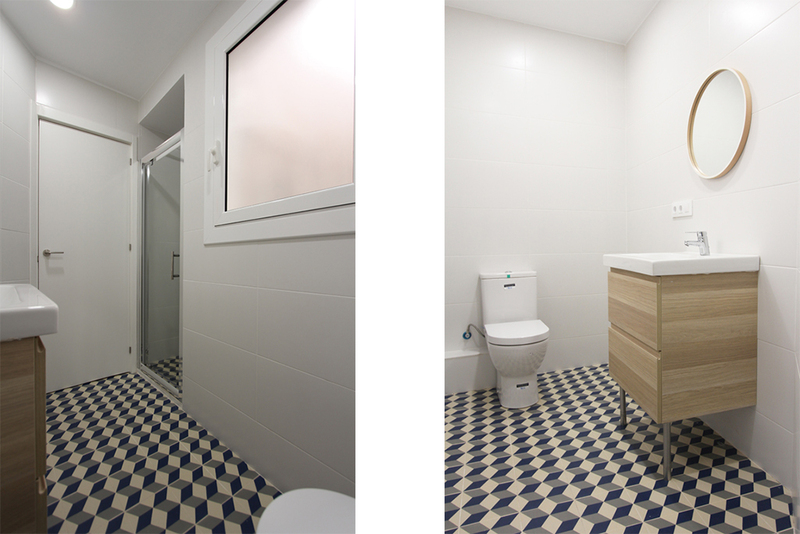 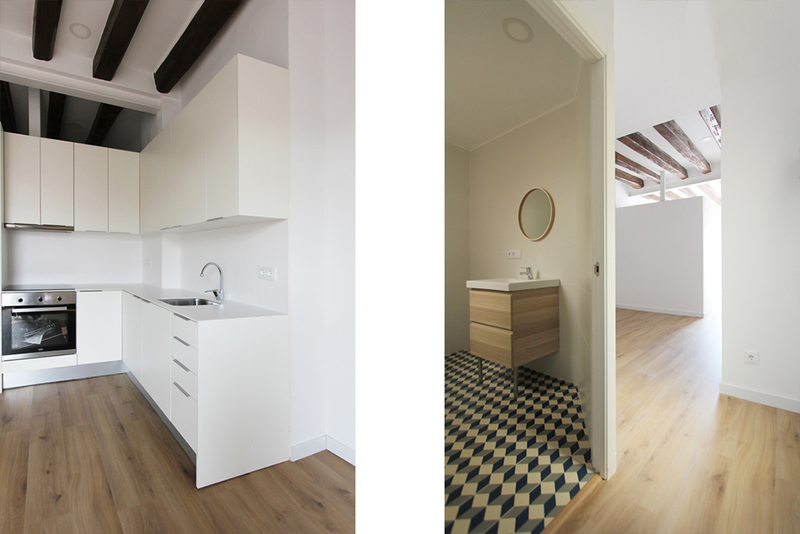 This project started in one of the most eclectic and cosmopolitan districts of Barcelona, with its narrow and steep streets we found this diamond in the rough asking to be polished to its full potential. 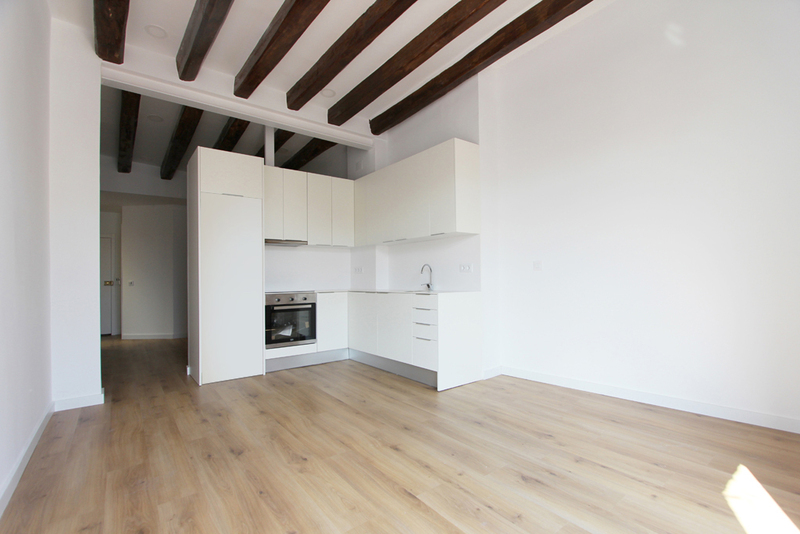 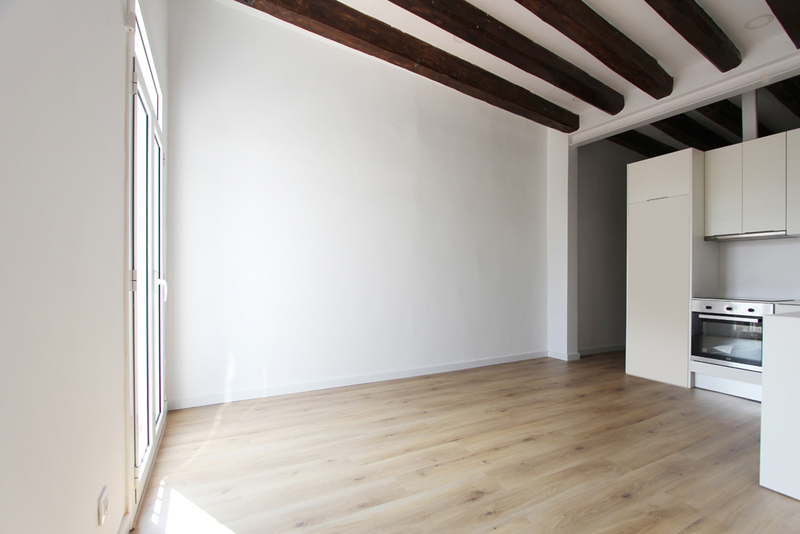 A fantastic penthouse in one of the best areas of Raval, completely exterior and plenty of light throughout the day. 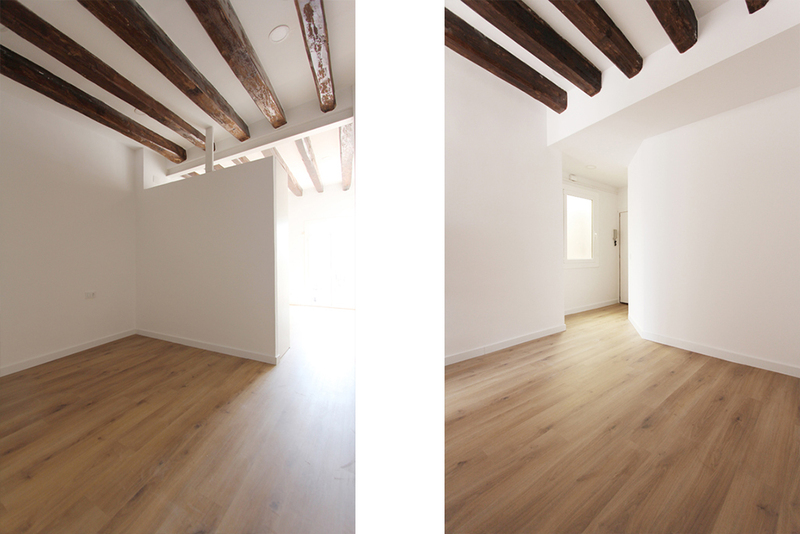 With ceilings of more than 3 meters high, large wooden beams and double orientation, we chose a Loft type configuration. 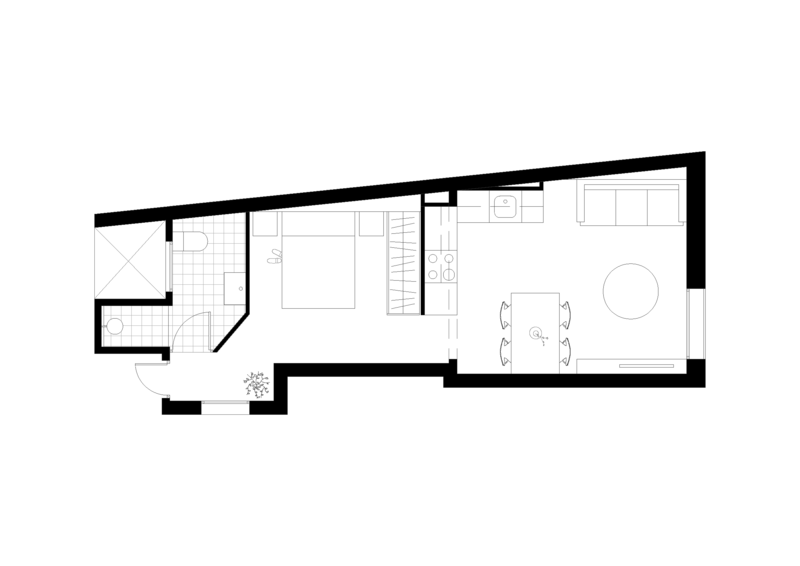 The position of the kitchen space divides the large central area into two different environments, first double-room suite and on the other the living-dining room space.